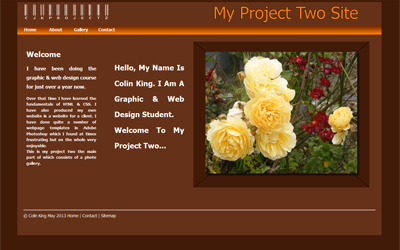 GHIS Web Design Student Portfolio - C.J.K. 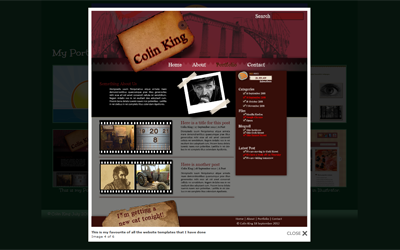 Wow my first web site! I started this site with a blank sheet of graph paper mapping out the navigation, header, footer etc. Then I made prototypes of each webpage in Photoshop. There I could see onscreen what my site would actually look like. Next came the actual coding which is the really finicky part of the whole operation. Once this was done I added the blog entries. Finally I uploaded my pages onto the GHIS website and hey presto here it is! In Project Two I revealed a bit more about myself in the About page and got to grips with putting a photo gallery together. I also used Vimeo to put a video onto my site. 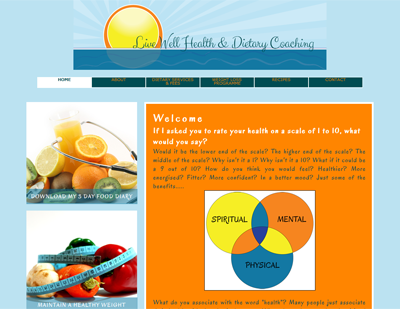 My client's web page is finally uploaded! This took a bit longer than intended due to a number of reasons I won't be going into here. There were times of frustration and times of elation depending on whether things were going well or not. I hope you like it. WordPress was a welcome respite from all my coding. Everything is laid out for you and it's just a matter of choosing how you want your blog page laid out. 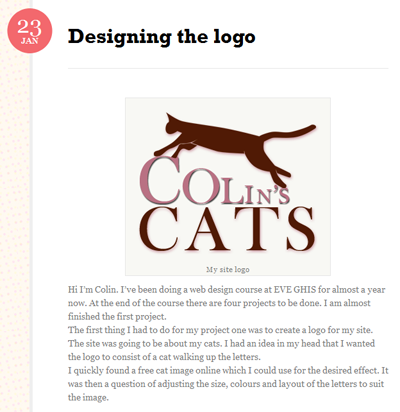 So once my layout was chosen all I had to do was start blogging. I found it a very positive experience and it's something I think I might keep doing. For this test I was on my own, I was not allowed to get help from my tutor or from other students. I got stumped on quite a few occasions but managed to get through it eventually.